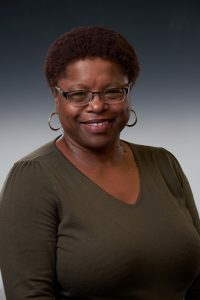 Dawn Johnson, associate professor in the Department of Higher Education, has been named a Senior Scholar by the American College Personnel Association: College Student Educators International. This award goes to faculty members who advocate for integration of scholarship into the practice of student affairs. The Senior Scholars Program provides scholars with a continuing opportunity to promote scholarship through the presentation of programs of interest to the profession at each national convention and to serve the association on projects related to their fields of interest. Dawn’s exemplary and sustained contributions to ACPA include, but are not limited to, serving as Associate Editor for Research in Brief for the Journal of College Student Development, two-terms on the Editorial Board for JCSD, and serving as the Senior Scholar in Residence for the Coalition of Women’s Identities. The previous class of Senior Scholars included alumna Stephanie J. Waterman, Ph.D. ’83, G’04, currently an Associate Professor of Leadership, Higher, & Adult Education at the University of Toronto.